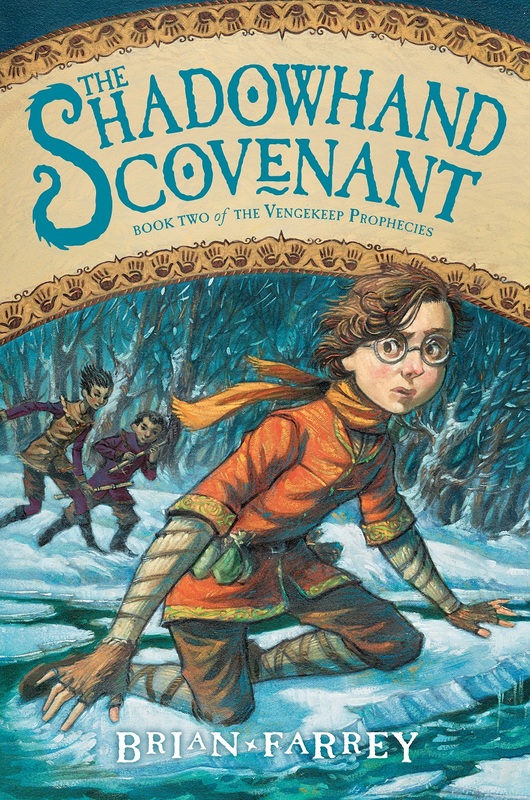 A comment I’ve seen a few times in regards to THE VENGEKEEP PROPHECIES is that many people are glad it works as a standalone book but they also hope there are more adventures on the way for Jaxter and company. And I’ve mentioned before that, yes, VENGEKEEP is the first of a trilogy and I’ve offered hints about the second book but nothing else. It’s okay. You can click it. It’ll embiggen. All is not well in the Five Provinces: the High Laird is making irrational–and unpopular–decrees, the peace-loving Sarosans have gone into hiding, charged with a crime they didn’t commit, and the most elite thieves in the land, the Shadowhands, are vanishing. Unwillingly thrown into the chaos, Jaxter and his thieving family’s investigation into the matter uncovers a conspiracy that could mean the end of magic forever. The stunning cover art is, again, by the amazing Brett Helquist. The release is a way’s off–October 22, 2013, to be precise–but, as any author will tell you, the existence of a cover makes it that much more real. Now tell me my cover is pretty.